Cook the onion in 2 TB olive oil with the salt, pepper and 2 TB Italian seasoning in a large stockpot over medium heat until the onion is golden. Add the garlic and cook for about a minute more. Add the tomatoes and wine to the pot. Simmer for about an hour or until thickened slightly. While the tomato sauce is cooking, sauté the mushrooms in the remaining 2 TB of olive oil, seasoned with sal, pepper and the remaining Italian seasoning. . 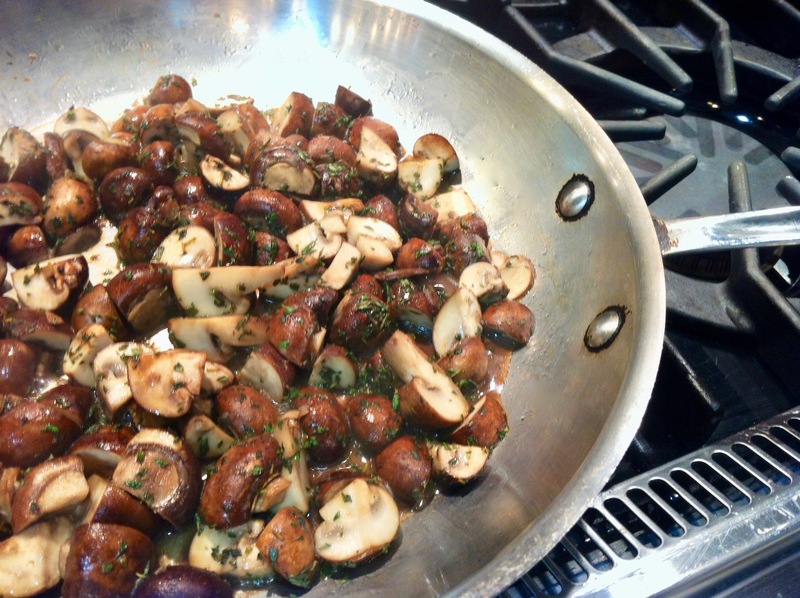 When the mushrooms have released all their liquid and are browned on the edges, they are done. Stir the mushrooms into the tomato sauce and top the pasta with the sauce. Sprinkle with parsley and cheese and serve. Crimini mushrooms are originally from Italy, and are closely related to the common white mushroom. If you are in looking for Baby Bella mushrooms in any other country…they would be named crimini. American marketing professionals noticed that crimini mushrooms were not selling – but portabellas were extremely popular. The result? Crimini were renamed “Baby Bella” and Americans clamored for them! Italian Seasoning is a must-have herb blend to keep in your pantry. It’s typically a blend of dried oregano, thyme, basil, rosemary and marjoram. 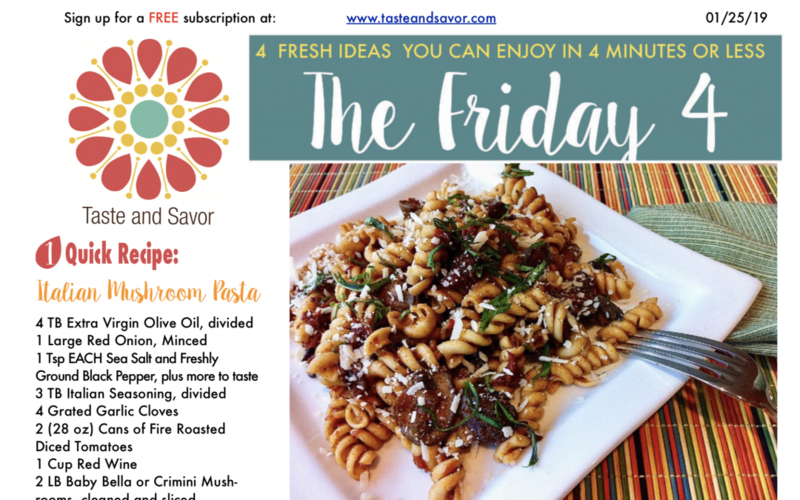 Invaluable in your kitchen…you can use this mix to add flavor to any Mediterranean style dish, whether it’s Italian, French, Spanish or Greek! Sangiovese, the most widely planted grape in Italy is used to make this intensely dark cherry, spicy and delicious red wine. This wine which means “red of Montalcino” is found in the same area as the famous , (and expensive), “Brunello di Montalcino. Its a fresher version of its big brother Brunello, requiring less time on oak, meaning its affordable AND easy to drink more often with any red sauce pasta.